If you have a CPAP machine that you no longer use or need, you may be looking for the best way to get rid of it. Should you donate a CPAP machine, sell it, or simply throw it out? Throwing it out is not a great option since this is a costly machine that could help someone else, but what are your options? Here is a closer look at what you can do with a used CPAP machine to keep it out of the dumpster and potentially do some good for someone else. First, before we look at where you can sell or donate your CPAP, consider why you are getting rid of it. Do you find it uncomfortable? 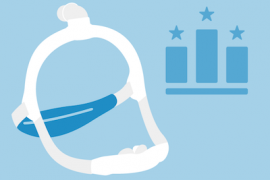 Did you get tired of using the CPAP mask or wonder if it is really working? CPAP is the most effective way to treat sleep apnea, and when you use it you will feel more rested throughout the day, will snore less, and will wake less during the night. But learning to use CPAP equipment takes time. It can take several months to start feeling the benefits, and that is only with consistent, nightly use. If you give up too early, you may be losing out on the benefits of the device before they even have a chance to kick in. It can take several months before you notice the full benefit of CPAP. If you simply feel that CPAP is not working for you, don’t give up! It may be that you are experiencing one of the many common problems with this therapy. Take some time to troubleshoot to see if you can enjoy the full benefits of your therapy. Remember, treating sleep apnea is not just so you will feel more rested. Treating this dangerous condition helps keep your heart healthy and can improve diabetes control for diabetic patients. Sadly, only about 60 percent of those who need CPAP therapy actually use their machines nightly. Don’t be one of these statistics. Yet if you do find yourself with a CPAP machine that you don’t need, these are your options for getting rid of it. 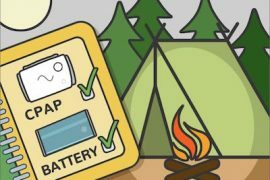 If you have a used CPAP machine, you have four basic options for it. If you’re continuing to use CPAP therapy, consider saving it as a spare machine. This will ensure you never miss a night of therapy, even if something happens to your main machine. If you do not wish to keep it, you can sell it. However, it is not legal to sell a CPAP machine to someone who does not have a valid prescription1 for it, because these are medical devices. While you may be able to find people selling on Craigslist, for instance, this is not the best route because it’s technically illegal. Though people who cannot afford their device but need a CPAP machine will look on Craigslist, the machines sold here may or may not work properly, the seller may not post accurate listing information, and the machine may not be set to the correct mode or pressure. On Ebay, you can only sell CPAP machines if you have FDA approval2 to do so, which would not apply to most people selling a used device. If you are looking to sell a used CPAP, you will need to go through an authorized reseller who will sell to individuals with prescriptions, rather than trying to sell on the open marketplace. A third option is to recycle the CPAP. If your device is broken, this is the best way to keep it out of the landfill. Keep in mind that many broken CPAP machines can be fixed, so consider all of your options before recycling your device. The fourth, and potentially best, option is to donate the device. 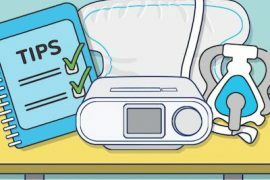 Donating your CPAP machine will get it out of your home, give you a tax benefit, and allow you to help someone who needs sleep apnea treatment but may not be able to afford it. Here is a closer look at how and where you can donate your used CPAP machine. Every year, thousands of people with sleep apnea do not get treatment because they cannot afford CPAP. Some of these individuals have no insurance, while others have insurance with high deductibles that make it impossible to afford the device. Even more people suffer because their insurance companies deny their coverage for CPAP. If you have a CPAP machine you aren’t using, you can help some of these people who cannot afford one by donating gently used equipment to organizations that offer lower-priced CPAP machines to people in need. When looking for a place to donate, be careful about the organization you choose. Some charitable organizations3, like Goodwill, will not do anything with your CPAP, but will simply destroy it. Look for organizations that specifically deal with sleep disorders, breathing conditions, and lung conditions. 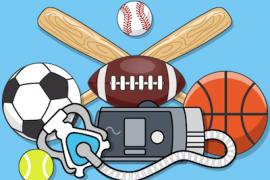 You can also discuss your donation with companies that take durable medical equipment donations. Make sure the organization cleans and inspects the devices and either gives them to individuals who need them or sells them at a deeply reduced price. This will ensure that your device is able to help someone in need. Finally, choose an organization that is a registered charity, so you are confident they are not looking to make a profit off of your donation. Each of these organizations has its own requirements for donation. Some will require you to pay the shipping fees, but all will provide you with a donation letter that will allow you to write off the donation on your tax return. This is an added perk that you will enjoy as you enjoy the benefit of knowing you helped save someone’s health and potentially their life with your used machine. If you would prefer to keep your donation local, consider reaching out to your local homeless shelter, food pantry, or churches in your area to see if they know of someone who needs help. It is not illegal to give your lightly used machine to another person, but do make sure that they actually need it or have a prescription for it. Remember, CPAP machines are medical devices and they should not be used without the direction of a doctor. CPAP therapy is an effective way to treat the dangerous condition of sleep apnea. If you have a CPAP machine that you are no longer using, consider using it to be a blessing to someone else through donation. 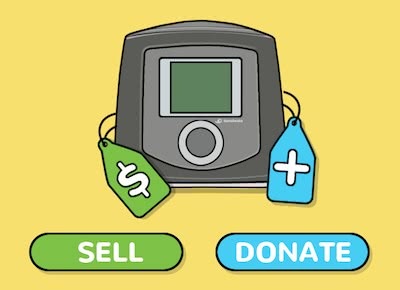 By donating your machine, you keep it out of the landfill, avoid the legalities of selling it, and give someone less fortunate a new lease on life! 1. Doyle, Katherine. “Online Marketplace Offers Cheaper CPAP Machines Without a Prescription” Reuters. Aug. 8, 2016. Accessed on Mar. 19, 2019. 3. “What to do with your old CPAP machine?” Thread on CPAPtalk.com forum. Feb 11, 2016. Accessed on Mar. 19, 2019.